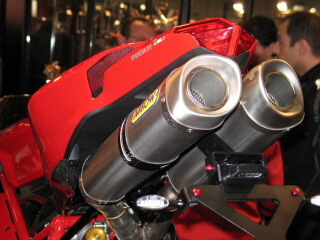 2007-2010 Ducati 1198/1098 and 848 ARROW replacement aluminum race exhaust. The perfect aftermarket replacement for stock cans. Sound great, adds about 6-10 HP and weigh less. No remapping or ECU adjustments. Installs in 30 minutes. INCLUDES: 2 Arrow aluminum silencers (cans) all hardware and instructions.